A BEACH umbrella which admits the sun’s healthful ultra-violet rays and turns back the chilly winds has made its appearance on the beach at Venice, California. 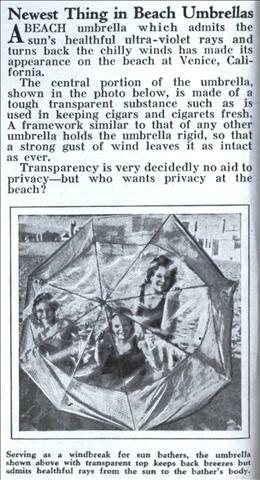 The central portion of the umbrella, shown in the photo below, is made of a tough transparent substance such as is used in keeping cigars and cigarets fresh. A framework similar to that of any other umbrella holds the umbrella rigid, so that a strong gust of wind leaves it as intact as ever. 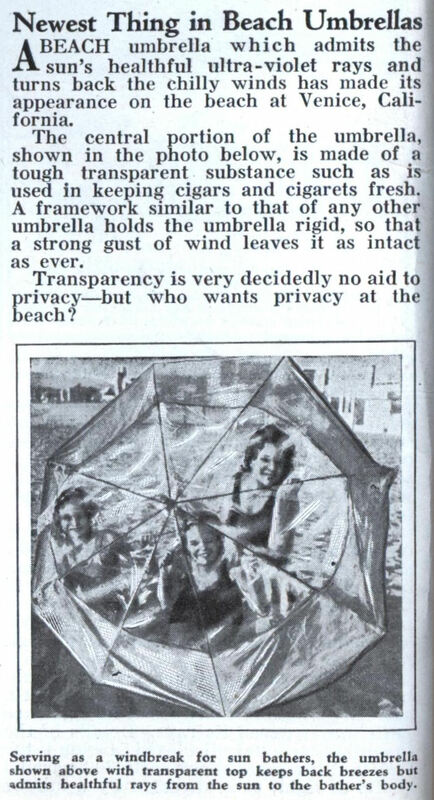 Transparency is very decidedly no aid to privacy—but who wants privacy at the beach? 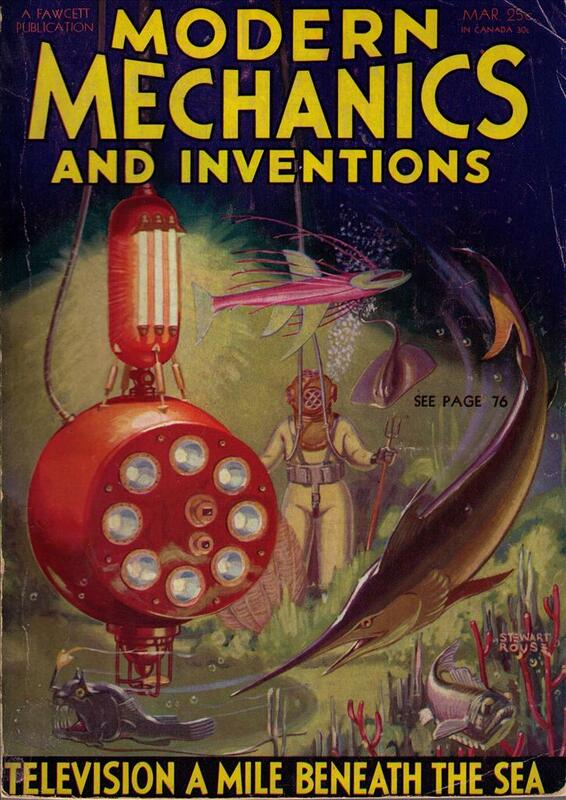 “A beach umbrella which admits the sun’s healthful ultra-violet rays…” Isn’t it amazing how medical opinion changes over the years, I suppose in 2080 they’ll be touting the health benefits of cigarette smoking.